IMAGINE COASTAL LIVING, minutes from the beach, feeling Gulf breezes throughout your home. On your approach, drive slowly through the front gates and note the beautiful calm and peace of the Stillwater community, with oversized lots, Palm trees, gorgeous landscaping and sidewalks. Privacy abounds. Once inside, note beautifully updated beachy grey plank tile floors throughout, coastal calming decorator colors, crown molding for accent, updated fixtures including plumbing, lights and fans..beautiful natural light. On to the cooks kitchen with plentiful cupboards, corian countertops, decorator backsplash, updated appliances, closet pantry, pendant lighting, crown molding. Family room provides a getaway, beautiful natural light streaming in. 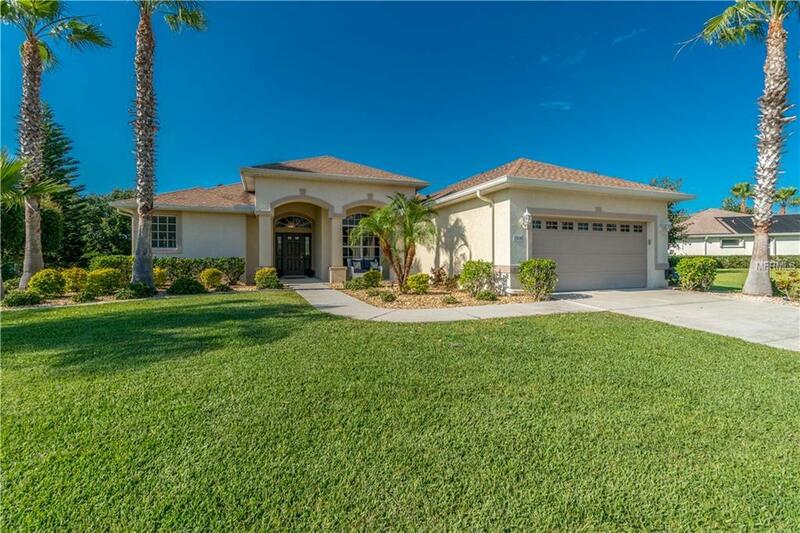 spacious and bright with 8' sliding doors to the Florida lanai. Then welcome to the Master Suite with tray ceilings, and WOW at this stunning, totally updated Master Bath with the latest in Quartz countertops, dual sinks, mirrors, coastal lighting and larger master shower created with the latest in tile trends. Home is like brand new construction, only with much more natural light, more large window openings and large private lots. Meticulously maintained with newer AC. FURNITURE is available via separate contract. Located right in the Heart of Englewood, where you can enjoy fitness with access to pool & sauna at the YMCA nearby, visit Historic Dearborn St - while the coast offers many beach options within mere minutes! Many places to store your boat nearby. Additional Lease Restrictions Tenants Must Be Approved By Hoa. Request To Board Must Be Provided At Least 15 Days Prior To Lease Period. Pet Restrictions Pets Must Be Domestic And Be Walked On A Leash And Picked Up After. No Aggressive Breeds And No Free Roaming.